Bermuda will be represented at the Las Vegas Sevens tournament by Buccaneers Rugby. The team is a Stephen's Selects tour in Honour of Adrian Hassel. 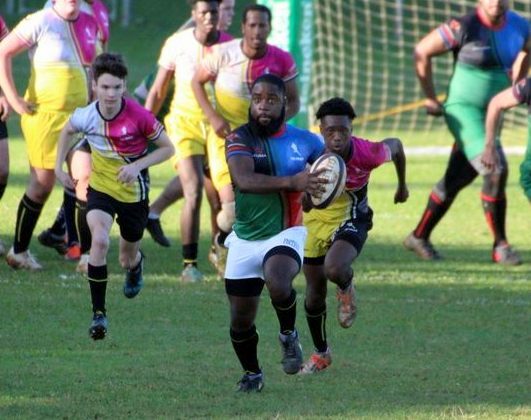 Organizers are hoping by attending the Las Vegas Tournament some of the squad will get excited again about playing sevens and join the National Team for this year’s RAN tournament which is Bermudian Passport Holders competition only. The tour would not be possible without the sponsorship and support of BGA Limited, Crisson Construction, Sunrise Construction, Rising Son Charters, Onsite Engineering, Insulcon Limited, Glidepath Ltd, Bermuda Tourism Authority and Somerset Country Squire.